I think that this is going to be an open match with over a 3,5 goals. 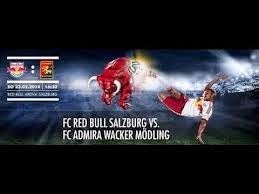 Salzburg is big favourite here, and they are way better team than Admira Moedling. Salzburg is for past few years best football team in Austria, they are also playing in Europa League. Salzburg is scoring a lot of goals in Bundesleague, so I expect another high-scoring match from Salzburg tomorrow. Admira is not that good team, and they don't have good defense, so I think that we will so over a 3,5 goals in this match.